The tea and coffee markets have each successfully made the jump from hot to cold drink, the latter most recently with the cold brew and nitro coffee trends. Now, cocoa may be braced to make a similar transition into the chilled drinks fixture, reports Mintel. While cold-brewed cocoa is not yet available in retail, it has emerged in the US on a limited number of menus of artisanal coffee parlours and high-end chocolate shops. Some recipes use cacao nibs – the fermented, dried bits of cacao beans – while others use cocoa beans, also known as cacao beans. According to reviews, it tastes less acidic than its coffee counterpart yet is similarly nuanced, nutty and also has the faint flavour and aroma of chocolate. 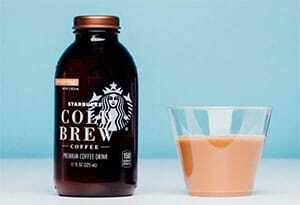 Although still a niche concept, the public awareness of cocoa as a cold brew alternative to coffee is likely to have increased in 2017 after Starbucks launched a ready to drink (RTD) Cold Brew Cocoa & Honey drink into select US stores. 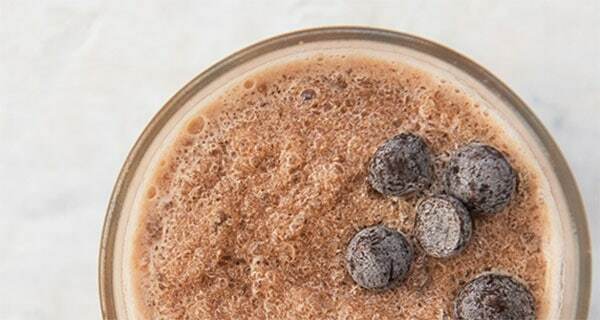 Despite being more of a cold brew coffee than cold brew cocoa, and containing cream and sugar, it gained sizeable press attention and may inspire consumers to see that cocoa can be an ingredient in cold drinks other than chocolate milkshake. Cacao nibs are packed with flavour, crunchy texture and also antioxidants, iron and magnesium and it is little wonder they have been tipped to be a more prolific food ingredient in future. Their use in drinks is more uncommon, but various artisanal tea companies around the world are now selling cacao tea, designed to be drunk hot. This drink is made from the nibs and husks of the cacao bean, and is a drink which has been consumed in South America for centuries. An example is the UK’s Teapigs, which has a Chocolate Flake Tea in its portfolio, with a recipe that includes black tea, cocoa beans and actual flakes of chocolate. The obvious links between cocoa and chocolate confectionery ensure that any such cold brew cocoa drink will be associated with indulgence. For brands looking to take the cold brew cocoa concept to retail, using a dairy-free milk alternative like almond milk could lend the drink a contemporary appeal along with a complementary nutty, subtly sweet flavour. Meanwhile, adding whole dairy milk could convey a more taste-oriented, creamy textured appeal. Alternatively, cold brew cocoa makers could pursue a more health-oriented positioning by focussing communications on the health benefits associated with cacao nibs and cocoa beans, e.g. antioxidants and iron. Moreover, cacao nibs are rich in theobromine, an alkaloid and stimulant which dilates blood vessels and has associations with boosting the mood. The scientific evidence behind this may be lacking but – nevertheless – cocoa is known as a good-mood food, and such drinks can benefit from this. At the heart of the relationship between health and chocolate is the cocoa content, and the higher the percentage of cocoa, the bigger the associated better-for-you benefits. In Europe, there is significant consumer interest in seeing more chocolate which retains the nutrients of the cocoa beans. With this in mind, there could be opportunities for cold brew cocoa to communicate the level of cocoa content, or provenance of the cocoa. For various reasons, the cold brewed coffee boom is struggling to replicate its US success in Europe, but maybe the allure of chocolate will help cold brew cocoa find greater success. Source: Mintel, authored by Alex Beckett, a Global Food and Drink Analyst at Mintel.